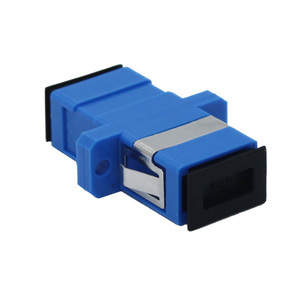 The optical network system also needs to be an optical signal coupled to the branch distribution. 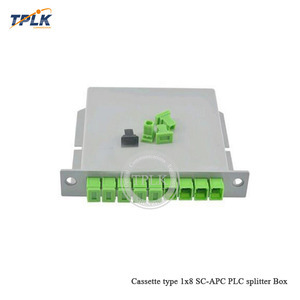 PLC splitters offer a better solution for applications where larger split configurations are required. 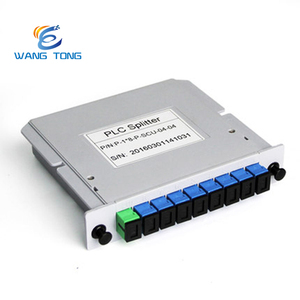 As a result, PLC splitters offer very accurate and even splits with minimal loss in an efficient package. 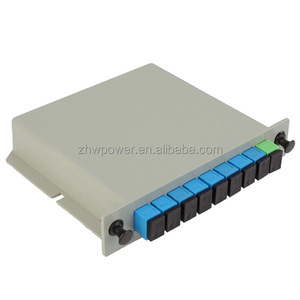 Alibaba.com offers 219 plc splitter module 1x8 in lgx box products. such as free samples. 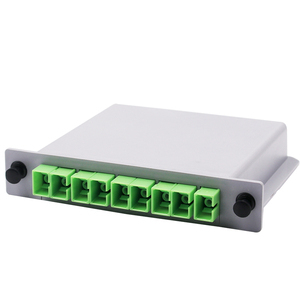 There are 140 plc splitter module 1x8 in lgx box suppliers, mainly located in Asia. 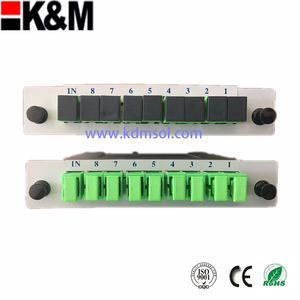 The top supplying country is China (Mainland), which supply 100% of plc splitter module 1x8 in lgx box respectively. 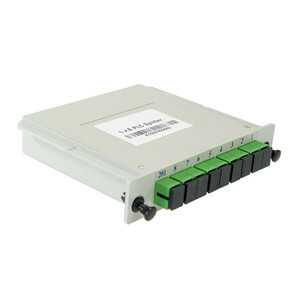 Plc splitter module 1x8 in lgx box products are most popular in South America, North America, and Eastern Europe. 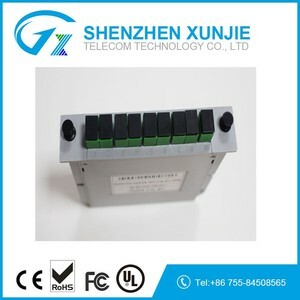 You can ensure product safety by selecting from certified suppliers, including 29 with ISO9001, 19 with Other, and 2 with OHSAS18001 certification.